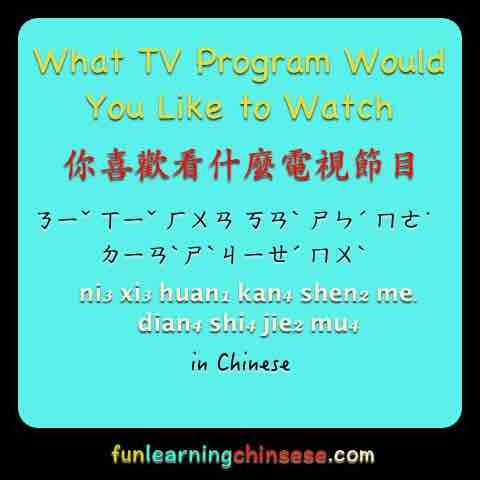 What TV program would you like to watch? What are you thinking about watching on TV? When I lived in Taiwan, I watched many movies. because most movies are made in America. This was good until the people in the movie spoke another foreign language. Then, I couldn’t understand, and I also was not able to read the Chinese subtitles. It was harder to watch TV. You would certainly expect all the people in Taiwanese TV programs to speak Chinese. So, in Taiwan, I didn’t like to watch TV programs. However, sometimes I tried watching children’s TV programs. I forget what those programs were named. Often, the TV programs my husband likes are not the same as the ones I like. He likes me to sit by him, so he finds TV programs we both like. Watching TV is one way to relax after work. ❶製作 (ㄓˋ ㄗㄨㄛˋ) (zhi4 zuo) is the version of “to make, to produce” that is used for intangibles, such as writing books or making movies. If something tangible is being made, such as bread or cars, the verb 做 (ㄗㄨㄛˋ) (zuo4) is used. changes to 2nd tone and becomes 不 (ㄅㄨˊ) (bu2) because the following verb is 4th tone. 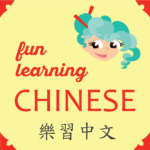 the Chinese people 中國人 (ㄓㄨㄥㄍㄨㄛˊ ㄖㄣˊ) (zhong1 guo2 ren2). You are taller than me. or You are tall compared to me. some adjectives are simply words that describe, such as color, height, warmth. Often my husband’s liked television programs with my liked television programs are not the same.